Former Uttar Pradesh Chief Minister Akhilesh Yadav on Sunday rapped the BJP government in a veiled attack and said that jawans guard the border and keep us safe not governments. 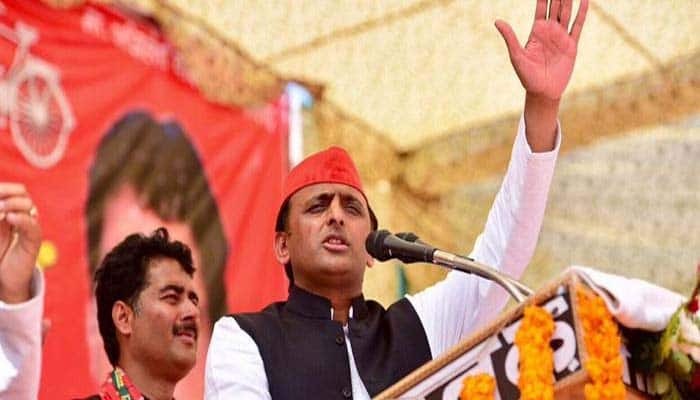 New Delhi: Former Uttar Pradesh Chief Minister and Samajwadi Party president Akhilesh Yadav on Sunday lauded the armed forces of the country while addressing an election rally in the state and emphasised that credit should go where it is due. “They say, as long as there is BJP government, our borders are secure. We, the people of Samajwadi Party believe that as long as there are brave soldiers at our borders, the borders are secure. Governments come and go but the jawans stay at the border, protecting India,” Yadav said. The comments made by the Samajwadi Party president come in wake of a continued discourse over the BJP government chest-thumping the strikes carried out by the Indian Air Force on Jaish-e-Mohammed (JeM) camps in Pakistan’s Balakot on February 26- in response to the Pulwama terror attack. Several BJP leaders have been caught in the past, crediting the success of military strikes to Prime Minister Narendra Modi’s grit or the ‘no tolerance to terrorism’ policy. Recently, Uttar Pradesh Chief Minister Yogi Adityanath was served a notice by the Election Commission after he called the Indian Army ‘Modi ki Sena’ at an election rally. “Congress ke log aatankwadiyon ko biryani khilate the aur Modi ji ki sena aatankwadiyon ko goli aur gola deti hai (Congress people would feed biryani to terrorists, while Modi’s army gives them bullet or bomb). This is the difference. The Congress people use ‘ji’ in Masood Azhar’s name to encourage terrorists,” UP CM had said.